Rev. Wayne G. Dupuis, CSV, died the morning of November 20, 2004 in Las Vegas, Nevada at the age of 67. Fr. Dupuis was born in Kankakee, Illinois on April 20, 1937, the son of the late Franklin Hubert Dupuis and Marie Catherine (Kanowski) Dupuis. He was preceded in death by his parents, and is survived by three sisters: Ardis and Kathleen Dupuis and Jane Petre. Fr. Dupuis professed First Vows as a Viatorian on September 8, 1954 and Final Vows on August 25, 1960. Bishop Romeo Blanchette ordained him priest on June 6, 1970 in Kankakee. He graduated from St. Patrick High School in Kankakee with the class of 1953. He studied at Loyola University in Chicago (1954-56; 1957-59), where he received his B.S. in Commerce. He did his graduate studies at Catholic University in Washington D.C., where he received a Master’s degree in Education Administration. His first assignment was Spalding Institute in Peoria, Illinois (1956-57). He then taught at Cathedral Boys’ High School in Springfield, Illinois (1959-66). After ordination, he was assigned to Alleman High School in Rock Island, Illinois. 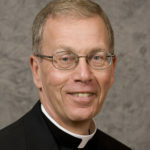 He also served as principal at Griffin High School in Springfield, Illinois (1973 -78), and as counselor at Saint Viator High School in Arlington Heights, Illinois (1978¬91). 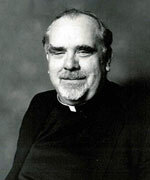 After a Sabbatical year at the University of Notre Dame (1991-92), Fr. Dupuis was assigned as Associate Pastor to St. Viator Parish in Las Vegas, Nevada, where he served until his death. Visitation was at St. Viator Parish in Las Vegas on Tuesday, November 23 from 1:00-7:30 p.m. There was a Mass of Resurrection on Wednesday, November 24 at 10:00 a.m.
An additional viewing was held on Saturday, November 27, at Maternity B.V.M. 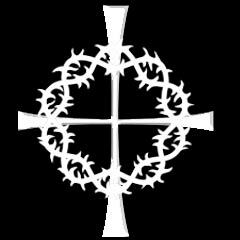 Parish in Bourbonnais, Illinois, from 8:00-10:00 a.m., followed by a Mass of Resurrection. Interment was at Maternity B.V.M. cemetery in Bourbonnais, Illinois. Please remember our brother Wayne and his family in your Masses and prayers.